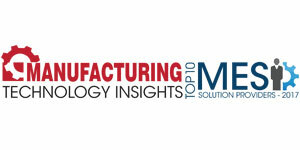 The manufacturing industry is undergoing a climactic convergence of past breakthroughs in mechanics, electronics, and IT, thrown into the mix with automation, intelligence, and IoT, contributing to the adoption of ‘Industry 4.0.’ In that backdrop, establishing best practices and new standards, replacing and renewing equipment to cope with those standards, and most importantly, training and educating the workforce to enable the transformation is a painstaking process for manufacturers. Cutting through these complexities for manufacturers, Tutelar Technologies allows its customers to create a fully connected intelligent manufacturing environment without the prevailing procurement, connectivity, and labor capability roadblocks. Tutelar Technologies offers Ujigami, a flexible MES/ MOM platform that fully integrates the entire manufacturing workflow, from warehouse management, all the way through production, packaging, and shipping. Ujigami’s intelligent software interface communicates with every machine and device on the shop floor; it eliminates the need for skilled operators who must otherwise deal with the race for optimization and simultaneously oversee the entire manufacturing execution. Ujigami software contains built-in knowledge to establish new standards and best practices and can communicate with existing equipment that pre-dates modern communications standards, all the way to new equipment containing the latest technology. “Our software oversees the complete manufacturing environment, receiving data and signals from machines, operators, and devices, and controlling the process to optimize it,” explains Edward Dickson, President of Tutelar Technologies. Ujigami fulfills the needs of material receipts, storage, movement and handling, and input to the manufacturing line. In the actual manufacturing, Ujigami performs specific machine setup based on the part to be produced; the part may be uniquely identified by bar codes, RFID, pallet tracking, and other methodologies. 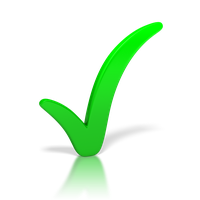 The entire process is controlled to meet part specifications, and in-depth mistake-proofing prevents problems. Master production scheduling, operation sequencing, and material availability at the right time in the right work cell are also ensured by the platform. Ujigami operates in a fashion that is familiar to process engineers, supervisors, managers, and very fundamentally, operators, even though it brings advanced technology to the shop floor. The software’s architecture and design, which render Ujigami’s real-time communication with machines, is server-based and familiar to IT teams. Moreover, being a browser-based solution, the solution delivers ubiquitous access to shop floor data across geographies and devices. For a tier 1 automotive supplier, these capabilities proved crucial as their manufacturing environment was outdated and entirely operator-dependent. 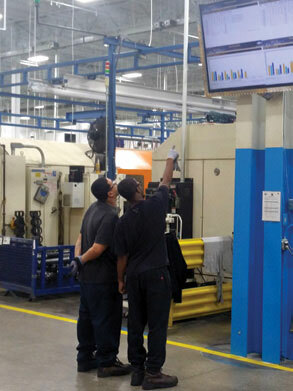 In a bid to enhance the environment, the customer needed to digitally transform their shop floor through automation of not only the machining process, but also coordination of setups, validation, loading and unloading, material handling and delivery, and the overall flow of the produced part. Tutelar Technologies was onboarded early during transformation plan, helping the customer achieve their objectives with Ujigami, which the customer found to be both powerful and easy to use. “In ancient Japan, the word Ujigami refers to a ‘tutelary’ god that oversees the health and well-being of people in a village, as does our platform, which ensures the same benefits for parts being produced on the shop floor,” notes Dickson. To extend this proposition, Tutelar Technologies recently added a flexible management-level reporting system, where KPIs and standards can be defined, recorded and reported. Ujigami provides comparative reporting of production performances across multiple plants to the senior management. “We now have the ability to serve customers in 185 countries with support teams that understand local languages and cultures. This is a huge step in our mission of helping manufacturers enter the Industry 4.0 era,” concludes Dickson.